It might be a country which associates itself more with camels and other animals which are more synonymous with sand – but don’t discount the popularity of horse riding in Tunisia. These might not be animals that you see darting across the Sahara in the movies, but let’s put the desert element of this country to one side for a minute. 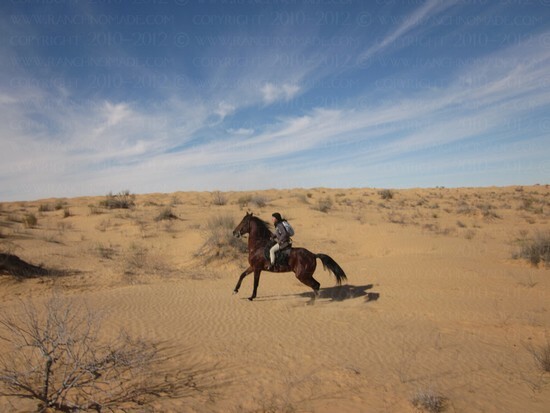 Most people might imagine the golden sand that gulfs Tunisia, but if you look a little further into the country you will soon see that there are countless treks that are set up perfectly for horse riding – some of which are in the Sahara, others which are merely in the countryside. Fortunately, a lot of operators have understood this – and horseback riding is now readily available. If you are merely opting to venture out on a horse for an hour or so, you can probably follow the basic advice you’ll be given by your tour operator. However, for anything longer, you really do need to know what to expect and also how to prepare. We’ll now mull over both of these points, to ensure that you get the absolutely maximum of your horseback expedition. 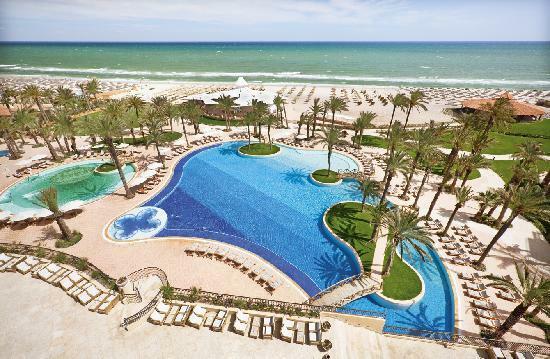 What does horse riding in Tunisia entail? Is there anything you should know before mounting your horse? You should firstly be aware that your ability is never going to limit you when it comes to horse riding. Sure, it’s never advisable to head off on a two-week expedition on your first attempt, but all tour operators are used to dealing with beginners. In fact, most of the schools out there are perfectly acclimatized to this. Perhaps one of the most popular comes in the form of Royal Carriage Club Riding School 1. This is a school which tends to provide more local rides, venturing across the beach and other “safe” environments. It’s schools like this which can really provide you with a good attraction for the day as they often incorporate lunch, usually in the form of a BBQ or even a picnic on the beach. On the flip side, there are rides that really allow you explore the beauty of Tunisia in detail. If you opt for a route that takes several days, you will tend to be accommodated under the stars in tents. These tents are usually of the luxury quality, allowing you to sample horseback riding in the desert in style. If you have chosen a Sahara experience, the things you will see can be aplenty. Some routes will result in your horse trekking past oasis’, while others will simply see you galloping across dunes and mountains. Again, depending on the type of tour that you decide on, you may even be gifted further interaction with the horses with some allowing you to bathe with them. To provide further examples of what to expect on a horseback experience in Tunisia, we should look to the South of the country. It’s here where you can really combine horse riding with sightseeing and be taken to places like El Ksour – a terrific fort disguised in the mountains. 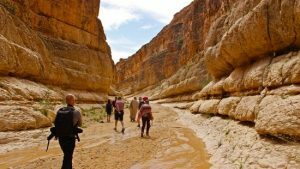 In other words, if you are looking to get the very most of this experience in more than a day, consider a trek which allows you to see attractions – and doesn’t just focus on the horseback element. Hip and leg strength – By improving this area of your body, your balance is going to improve much more and it will make for a more comfortable ride. One easy exercise to train this area is on the stairs. Stand on the bottom stair, hold the railing, then lean back so the balls of your feet are touching the stair. Begin to stretch your heels so you can feel your calves working – with this mimicking the stirrup that you will encounter whilst on the horse. Hold for ten seconds and once you have mastered it, try and complete it without the railing. Core 3 – Again, a strong core is only going to aid your balance and ultimately make the experience much friendlier for your body. This is relatively easy to train and involves traditional exercises, like sit ups and crunches. 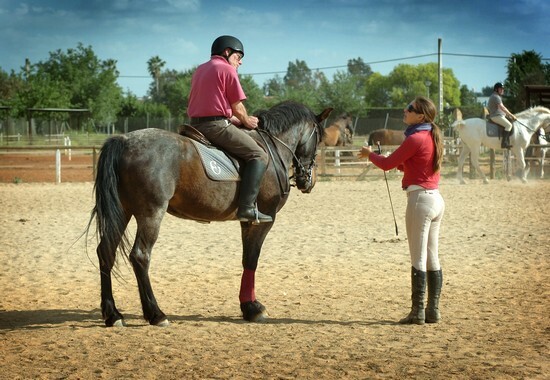 If you can also practice good posture it will make the horse riding experience so much comfortable as the hours pass. Following on from the above, make sure that you also satisfy any weight requirements that your tour operator may have specified. Unfortunately, we can’t go into too many details here, but a general rule of thumb is that riders over 85kg are not able to travel – for obvious reasons. If we move away from fitness preparation for a brief moment, let’s talk about clothing. If you’ve opted for a Sahara trek, a scarf is crucial. It can protect your head from the sun in extreme temperatures, while once winds gain traction it can also cover your face from a flurry of sand. The only other clothing advice we have is to stick to layers. As any basic climate-related research will reveal, the temperatures in Tunisia vary drastically. Particularly in the Sahara, one season you can be sweating uncontrollably, while the next you can be wrapping up as it’s freezing cold. If it’s summer, it goes without saying that fewer layers are required, but over all of the year you will find that the temperature varies significantly by hour anyway and a layer approach is the most advisable one so you can adapt quickly. There are most definitely two types of horse riding in Tunisia; the casual type and the type that allows you to really explore the country. If you opt for the latter, you may have to engage in some mild preparation to get your body ready for the experience – both in terms of your general health and the equipment that you’ll need. However, once this in order, you really can see some fabulous sites. Sure, you might be engulfed by sand as you gallop across dunes, but having the potential to cast your eyes on hidden desert gems whilst on these rapid animals should not be underestimated and really does provide a unique Tunisian experience. © 1998 - 2018 TunisiaTV.com. All Rights Reserved.